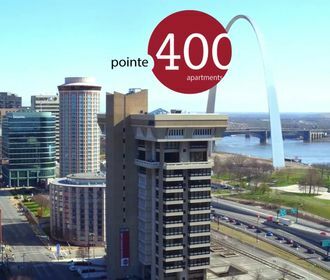 Pointe 400 Apartments, luxury apartments in downtown St. Louis located between the beautiful Gateway Arch and the thrilling Busch Stadium. 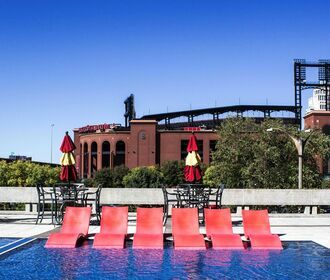 Here you will find an array of one and two bedroom floor plans, a plethora of amenities, and gorgeous panoramic views from your home that look out at the Mississippi River, the Gateway Arch, and the stadium. This pet friendly community also offers a large 40,000 square foot veranda with a spa and a pool, a community room, garage parking and a pet park for your furry family members - all housed in a historic building close to shopping, restaurants and nightlife! 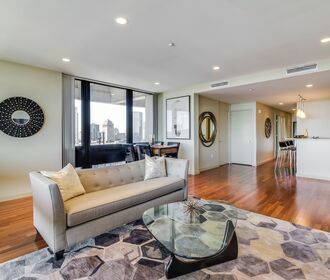 We're now leasing -- call us today for your tour!